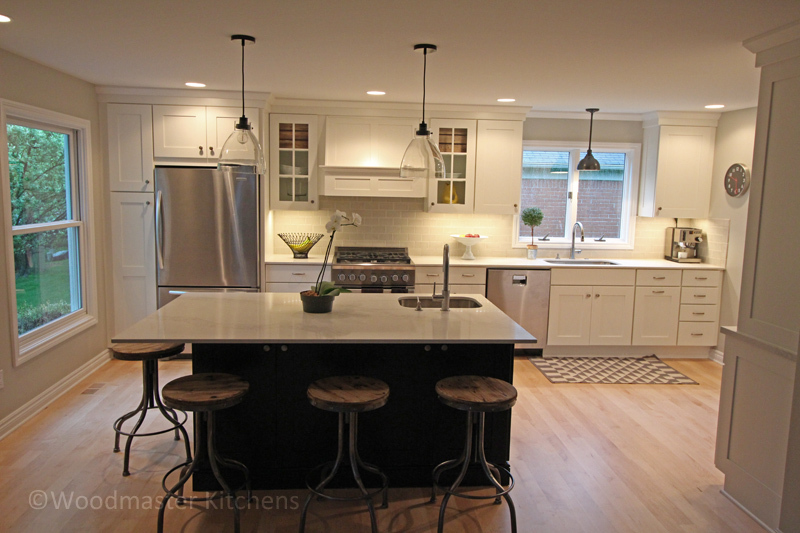 What's New in Kitchen and Bath Design Trends for 2016? There are a wide range of styles available in home design, and which one you select may vary depending on your location, personal choice, and overall home style. There are a few style trends that have become increasingly popular and do not appear to be going away time soon. 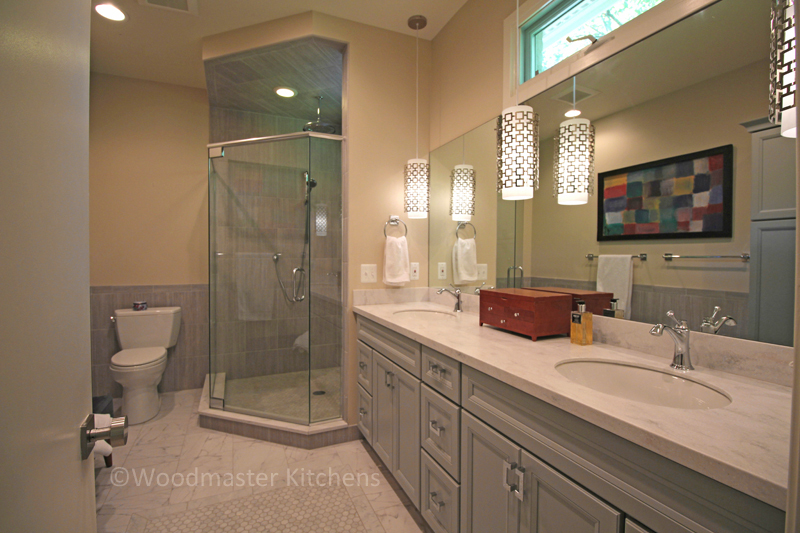 Transitional style is one of the most popular choices for both kitchen and bathroom projects. This is in large part because this style combines the comforting appeal of more traditional designs with the clean lines of contemporary styles. At the same time, contemporary designs have become more popular as many people seek to simplify and de-clutter their homes. The contemporary design still has hints of traditional comforts but with a sleek, stream-lined appearance, like the designs shown here. Eclectic styles and integrated designs are becoming more prevalent, particularly as spaces like the kitchen and even the bathroom are viewed as an extension of living spaces in the home. Kitchens are open to living areas and may contain office or homework space, and bathrooms are frequently seen as a place to relax and unwind. These rooms are seeing the inclusion of furniture like pieces, and a more eclectic approach to design like the ones shown here, borrowing features from different design styles to suit the individual needs and tastes of the household. White is still a common neutral for kitchen and bath design, but gray continues to rise in popularity and shows no sign of disappearing. Equally popular for both kitchens and bathrooms, gray is a sleek neutral that can be found in a range of shades and tones to suit any design. It also complements a variety of other colors, making it easy to pair up with almost any natural material, trim color, or bold accent color. While neutrals will always feature strongly, more designs are opting to mix in bold colors with the neutrals. Color can be injected into your room in a variety of ways like colorful island cabinetry, appliances, or even sinks. If you want to add color without committing to a large investment, consider including something more easily changed such as colorful barstools, like the ones pictured here. The multi-purpose spaces that are today’s kitchens and bathrooms require custom accessories and specialized storage, to maximize the functionality and keep the room clutter free. Customized storage like these have become increasingly popular, with accessories available to keep every cabinet and drawer organized in your kitchen cabinets and bathroom vanity. The National Kitchen and Bath Association (NKBA) has reported that pet areas like the one shown here have begun to feature more heavily in the kitchen. This allows family pets to have a space in the kitchen that does not require you to trip over food and water bowls, and perhaps even offers a neat place to store pet food and other supplies. Specialized kitchen appliances are becoming more popular, and often serve to make life more convenient and to save space. Steam ovens, warming drawers, and induction cooktops are among the appliances that feature strongly in today’s kitchen designs. Technology is an integral feature in the modern home, and is used in every room. To accommodate this, many kitchens now include a designated place for technology, including storage and charging stations. Design trends are the perfect way to find inspiration as you begin investigating a new kitchen or bathroom. Look for trends that reflect your personal style and will suit your home for many years to come. Visit our kitchen design or bathroom design galleries here to see more ideas or contact us to get started with a renovation.